It is connected to the reading activity. (2 pages) -matching pictures,crossword,true or false, anwering the questions, AND A SECRET MESSAGE. 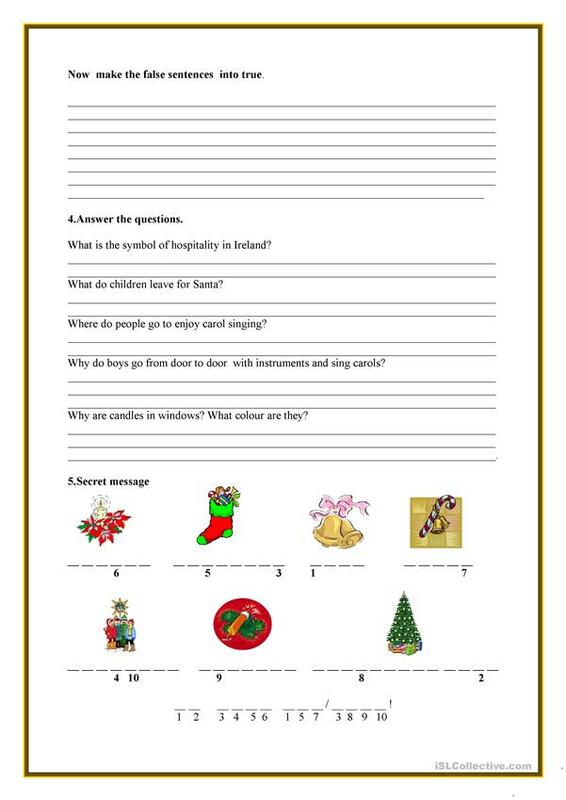 The above downloadable handout is intended for high school students and elementary school students at Pre-intermediate (A2), Intermediate (B1) and Upper-intermediate (B2) level. It is a valuable material for enhancing your groups' Reading and Writing skills. 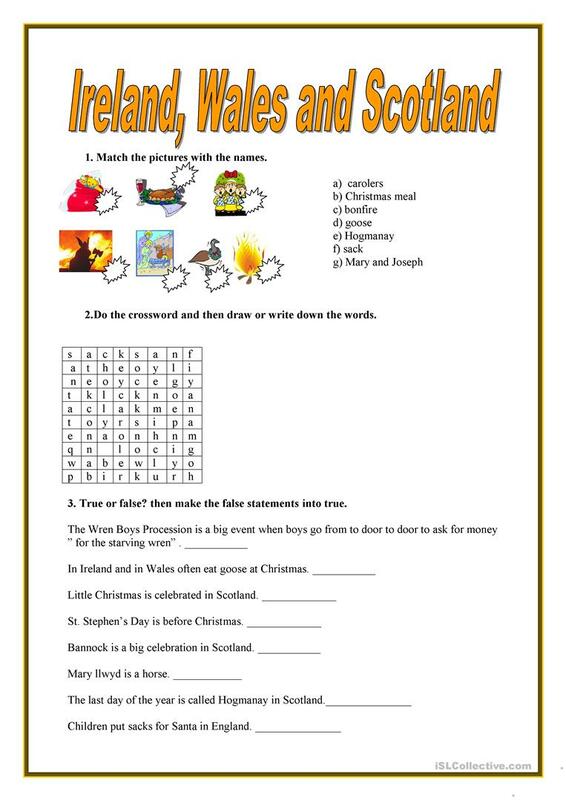 It is focused on the vocabulary topic of Holidays. The exercises come with answers.